With so many wonderful places to experience, especially in the Southwest, we know that staying in one place just may not be enough. To make your travel adventures more convenient, our sister inn can be a great option. When you stay at our sister inn, you know you are getting the same quality experience that you get at Casa Blanca Inn & Suites. 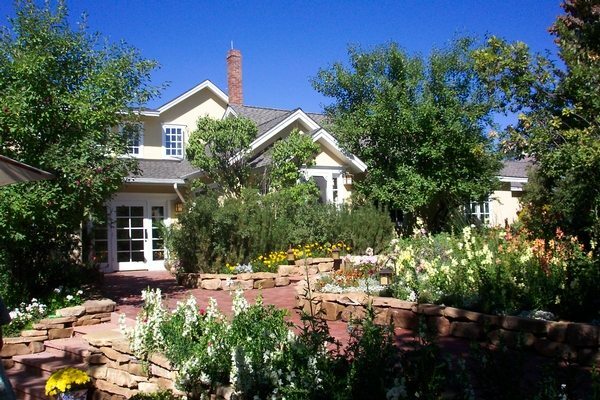 If you are beginning your journey in Colorado, and checking out some of the amazing sights to see along the way, then Blue Lake Ranch Bed & Breakfast Inn may be a great stopping point for you. Located just outside of Durango, Blue Lake Ranch is the perfect place to experience the beauty of country living. Blue Lake Ranch is just a 15 minute drive to Durango, the perfect place to feel like you are part of the Old West. The inn is also just 30 minutes away from ancient marvels such as Mesa Verde National Park. Blue Lake Ranch is perfectly situated on 200 secluded acres of pristine Colorado land with breathtaking views of the La Plata Mountains. Counted among the top inns in the United States by National Geographic Traveler, Conde Nast Traveler, and Travel + Leisure, Blue Lake Ranch remains one of the Southwest’s best kept secrets. You will be glad you made this destination part of your getaway itinerary. We are proud to have Blue Lake Ranch as our sister inn. After making your way just 45 minutes south into New Mexico, you can recharge from the day’s explorations at our Casa Blanca Inn & Suites. But don’t be fooled, Farmington has lots of activities to offer the traveler. We are much more than a place to rest your head after a full day of adventure. You can check out some great places to visit in the Farmington area here. We know that lodging can be a major expense during a vacation, so let us help. Receive our specials alerts by following us on Facebook and join our mailing list by emailing info@casablancanm.com. Or go “old school” and call us for personal help with your trip through the great Southwest. Happy travels!